I've started sketching Paris people again & stretching myself, drawing more landscapes too. It's a lovely city to be doing that kind of thing in, when the sun shines. 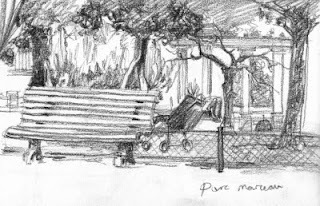 Thanks to Paris Sketchers, a group of artists who draw together or more often inspire one another, to go out and draw the streets of Paris. 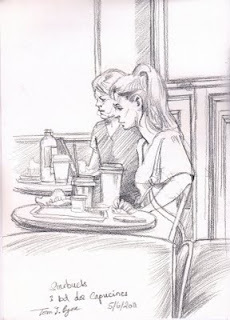 The girls were in Starbucks on the Boulevard des Capucines, where I enjoyed a hot chocolate yesterday. 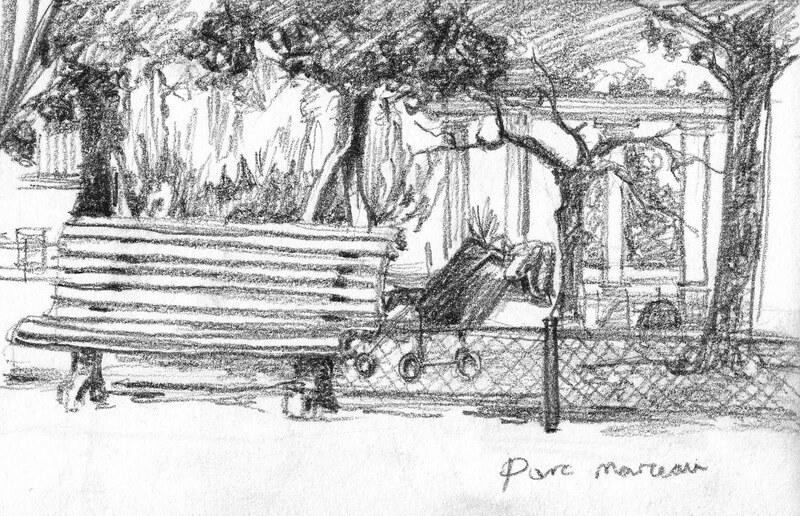 The other is in the parc Monceau. A lovely garden, hidden away off boulevard Haussemann. Here's a link to some information about the park.